According to a report on T3 today, despite Apple delaying delivery of iPads to some UK pre-order customers until June 7th, 10 days after the May 28th launch, Apple retail stores in the UK will get their own iPad stocks prior to release, ensuring that walk-in customers should be able to pick up an iPad on the spot. A member of staff at Appleâ€™s flagship Regents Street store in London told T3 that they were fully expecting dedicated iPad customers to queue through the night prior to the doors opening on May 28th, just as they did in the US. T3 argues that this could result in walk-in impulse buyers getting an iPad before loyal customers who signed up to pre-order their iPad weeks ago. T3 poses the question, why would you now pre-order an iPad rather than just take your chances at your local Apple store? Well for starters, youâ€™d need to be near enough to an Apple store to take advantage, assuming they still had stock left of course, and as there are only 27 Apple stores in the whole of the UK , and several of those are in the Greater London area, so thatâ€™s a lot of people who donâ€™t live anywhere near an Apple store. 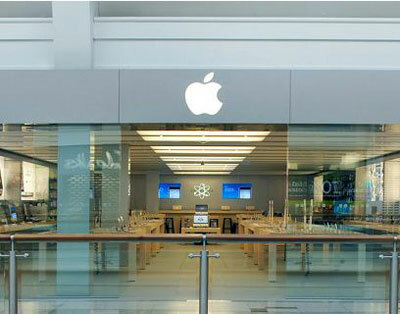 The article reads as if each Apple store is going to be swimming in ipads. Odds are that each store will get a pathetically small amount of stock, with 90% of the people lining up at stores going home disappointed. It will likely still be faster to wait for your pre-order.